Teen Titans प्रशंसक Art. I do NOT take credit for these photos.. HD Wallpaper and background images in the टीन टाइटन्स club tagged: teen titans starfire robin raven beast boy cyborg titans terra. 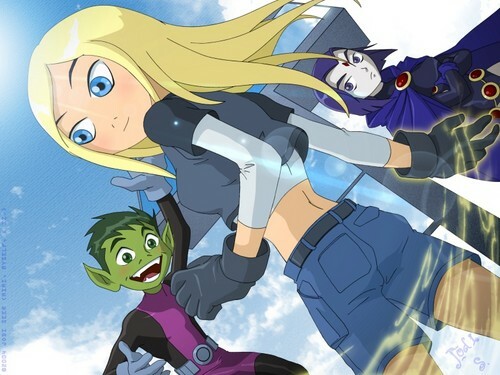 i think bb should be put with raven, i know they are perfect for each other,and can anybody tell me what happened after terra comes back alive and turns to just a regular school girl.